Hildegard von Bingen was truly a woman ahead of her time. A visionary in every sense of the word, this famed 12th-century Benedictine nun was a Christian mystic, composer, philosopher, playwright, poet, naturalist, scientist, physician, herbalist and ecological activist. 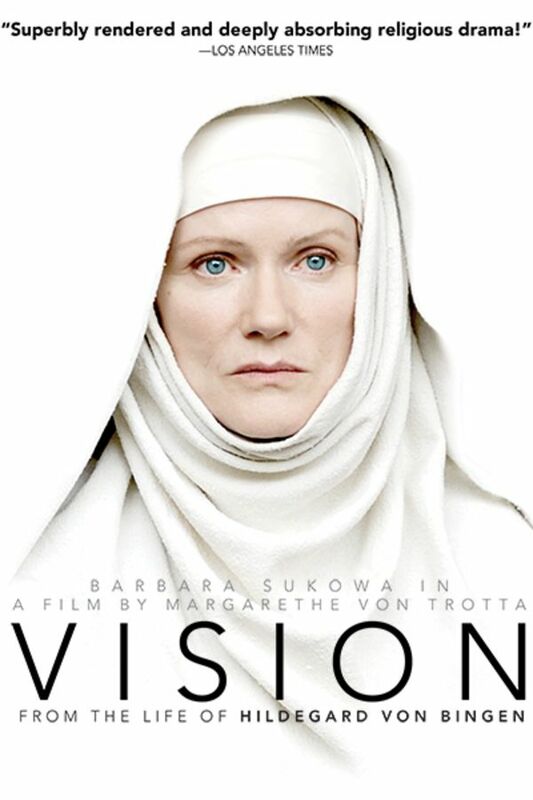 Lushly shot in the original medieval cloisters of the fairytale-like German countryside, VISION is a profoundly inspirational portrait of a woman who has emerged from the shadows of history as a forward-thinking and iconoclastic pioneer of faith, change and enlightenment. A beautiful story or our humanity and holiest of spirit co- joined. Powerful, Challenging, to stretch the mind and the soul!